Axial Flow Fan Manufacturers Backed by the perfect state-of-art-infrastructure, we are able to offer Axial Flow Fan this Ventilation System. It is normally used to exhaust the waste and polluted air away from the premises in a rapid manner. The fan that we manufacture is protected with steel cage type of protection which protects from any other external disturbances. These fans are used at factories and kitchens. 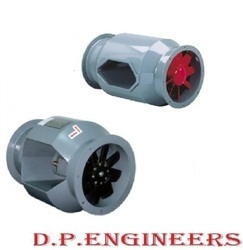 These Bifurcated Axial Flow Fan is recommended for high volume, low resistance systems. The fan can be installed at any angle in a duct line with its motor compartment isolated from fumes. For horizontal or near horizontal positions a drain plug can be fitted at the lowest part of the casing. Bifurcated Axial Flow Fans are direct driven axial fans where the motor is encased in a metal box to isolate it from the airflow. MOUNTING :In line duct and or wall mounting. APPLICATION :These fans are suitable for handling hot, explosive, corrosive and inflammable gases. Motor remain outside the air streem. All axial fan casings are rolled and flanged from heavy-gauge mild steel and hot-dip galvanized after manufacture. The standard casings enclose the impeller and motor completely and weatherproof external terminal boxes are standard.Direct-drive – (315 to 1400 mm diameter)The entire range can be provided in a wide choice of speeds to meet an extensive range of performances and applications. If a speed or duty you require is not shown please contact our sales engineers for assistance. In general, all flameproof or special application motors can be fitted if required.Direct-drive – (315 to 1400 mm diameter)The full range of sizes and speeds can be provided as direct-drive for applications where the fan must be installed vertically. The casing is designed with integral outriggers to facilitate vertical mounting. For Smoke-spill applications we can supply fans up to 1400 mm diameter. We are one of the prominent manufacturers and suppliers of Wall Mounted Tube Axial Fan. They are made using high-quality raw materials at our advanced infrastructure unit and are well-known for their durability and efficiency. They adhere to industrial guidelines. They are easy to install and maintain. They can be easily mounted on a wall at any desired height for better air flow. They find extensive application in various industries for ventilation purposes. They are made using heavy-gauge mild steel and are a highly required component for the air pollution systems of various industries. They are quality-tested by professional auditors before dispatch. Our spacious infrastructure facility helps us engaged in the production of Industrial Tube Axial Fan. They are used widely in various industries for dust handling, material conveyance and exhaust functions. They are available to the clients in different designs at cost-effective prices. They are highly acclaimed for a noise-free operation and put comparatively less load on the motor. They are energy-efficient and help save up on electricity costs. They are suitable for low, medium and high pressure operations and provide a high flow rate at low static pressure. They are quality-tested appliances. With firm commitment to quality, we are offering a sustainable range of Belt Driven Axial Fans to our clients. Products we offer are extensively accepted and appreciated by our patrons due to their high quality, performance, efficiency and long lasting durability. These products are fabricated by employing high-grade raw material and latest scientific machinery and tools to ensure superior quality Axial fans. 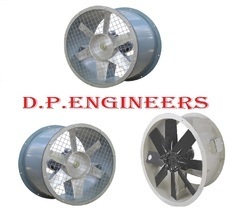 Our organization is extensively recognized as one of the authentic and leading manufacturers, suppliers and exporters of quality-approved Direct Axial Flow Fan. These products are fabricated using high quality raw material, which is procured from our highly trusted and reliable vendor in the industry. Moreover, we employ latest machines and equipments for obtaining seamless finish product. Axial fans are available with spark resistant, cast aluminum propellers or heavy-duty steel propellers. The spark resistance feature of our cast aluminum propellers meets a standard requirement for applications involving explosive fumes or vapors. Stainless steel propellers or all stainless steel fans are also available. Unlike many light gauge construction fans, our axial fans are fabricated using heavy gauge steel components. Axial Flow Fans are industrial equipment designed to move air or gas. 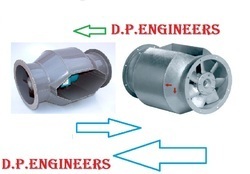 The working of an axial fan is same as that of centrifugal fan with only difference of mechanism. Axial fan draws the air from outside using propeller and discharge it in the same axial direction. Axial fan is a device that uses propeller to move the air. Some of the most popular industries that use axial fans are steel, ceramic, mining, cement, woodworking and chemical industries. Some of the most popular industrial applications include fume removal, dust removal, dust collection, building ventilation, combustion air and heat recovery. 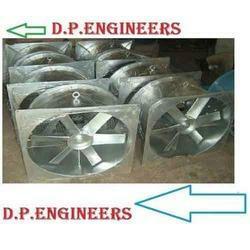 Axial fans manufactured by us fall under one of the most prominent products from our house. Our ranges of axial exhaust fans are highly suitable for cubicles, small cabins and other small utility spaces. These fans can also be fitted on glass panes. We have an experienced team who are dedicated to the quality assurance part of our axial fans and they make sure that we adhere to industrial quality norms for production process. We have used quality steel in construction of the structure of our fans along with cast aluminum propellers. We take pride of our axial fans that are highly appreciated in the market for its performance and reliability. These Fans are construction sturdily using M.S. Cylindrical Cast Aluminum alloy impeller dully statically and Dynamically balanced. • Axial Flow Fans.Ventilation.Air Conditioning.Industrial Process Systems. 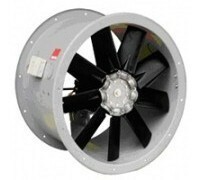 These fans are offered in 12″ to 48″ wheel diameters sizes. Based on the skills of our adroit professionals and creative workers, we bring forth an extensive range of Fan Blade. Owing to features like durability and easy installation, the offered range is extensively demanded in market. A team of our skilled professionals, with a wide experience manufacture the offered Fan Blade using high grade raw material and modish technology. Justifying our stature in the industry, our firm is extensively indulged in presenting an exceptional quality collection of Smoke Extract Axial Fan to the market. 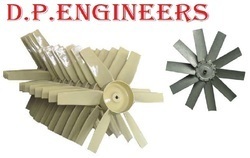 These offered fans are manufactured in tandem with the international quality and norms. Without affecting their top quality we offer them at reasonable prices. Besides this, these are selected by our clients for their fine finish and low power consumption. Copyright © 2015. | D P Engineer | All Rights reserved.